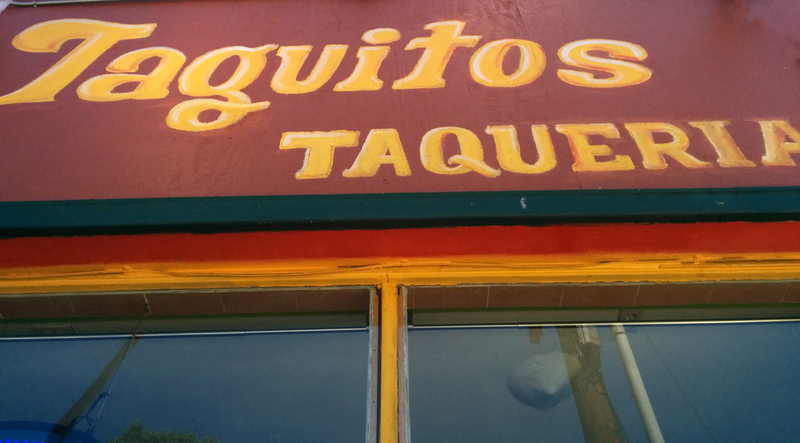 Cute and Colorful Los Taquitos is located at 58th and NE Glisan Street- next to a gas station and entry onto the highway. Be careful not to unwittingly turn onto the ramp for the highway, as you will be sucked down 84 until the nearest exit in Hollywood. Haha...ha. 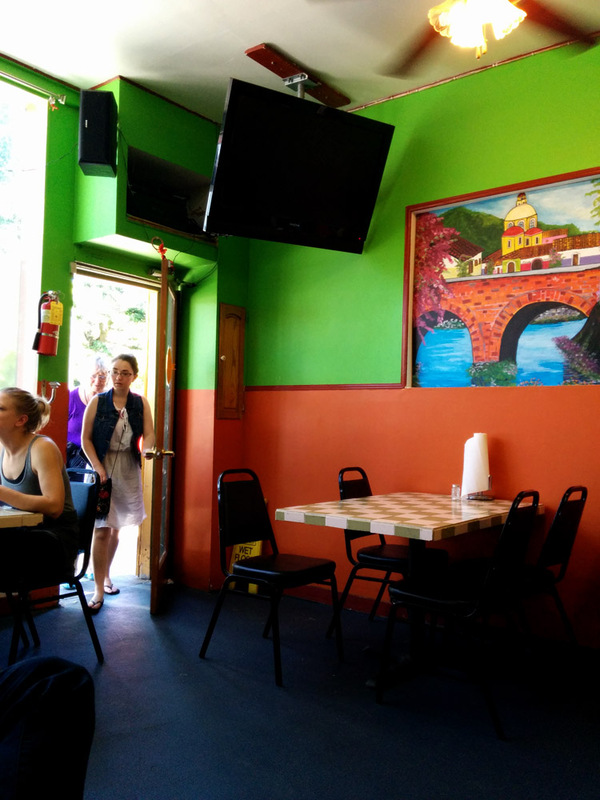 They have your typical Mexican grub, as well as many veggie options and other interesting entrees. 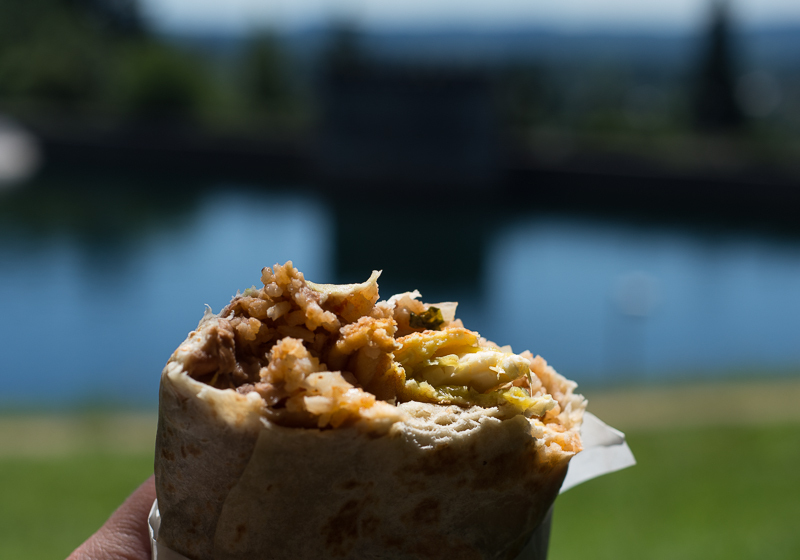 This place isn't too far from Mt Tabor, so I decided to have a burrito picnic overlooking Portland's poopy water supply. 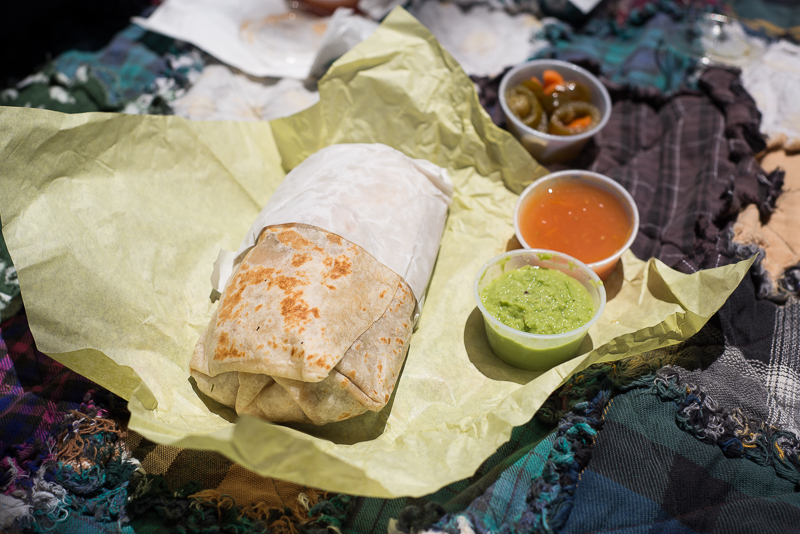 What better than a gorgeous June afternoon spent atop an extinct volcano, burrito in hand? Not much, not much at all. Sides: Salsas, Pickled Carrots and Jalapenos. 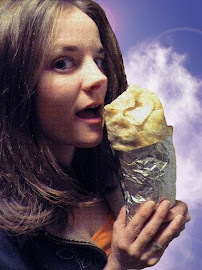 Nothing really blew me away about this burrito. He wasn't bad, but he wasn't breathtaking either. Just your everyday ordinary run and the mill joe. I didn't laugh, didn't cry, didn't really feel anything. He wasn't tangy, spicy, hot, or saucy. The relleno was tender and eggy- but not too eggy. The beans were too pasty, yet had a nice hammy taste.. The salsa accompaniments weren't all that enticing either- the overly liquidy red was all heat with no flavor and the overly thick green was just... strange. It filled my hunger spot for a while, but left me ill with want. Who I go here again? Yes, there are many more burritos in the sea. Perhaps I would try the California burrito, which has steak and french fries on it... edgy.